Redefining and making your backyard look exotic yourself is a marvellous way to add a personal touch to any space. Whether it’s a chic, fantastic, or sparkling outdoor area you want to entertain guests in, or a rustic haven you would like to retreat to when you want to get away from it all, a DIY backyard project is beneficial for a variety of reasons. A professional landscaper comes at a premium, so be ready to cut a large dent into your checking account for your professional landscaping needs. On the other hand, a DIY backyard project is far more affordable in comparison. You can make use of materials you have laying around the house, so the cost of outsourcing materials is reduced. Since you will be doing the job yourself, the cost of labor will also be non-existent. What is wrong with a little exercise either!? You can always DVR that baseball or basketball game as well and watch it to cap off a constructive and magnificent day. If you have been craving to find a creative outlet for yourself, but haven’t found an appropriate enough project to put it in, why not infuse it in a backyard DIY project? A DIY project is a fabulous opportunity to let your creativity shine through. You can improvise on design, the materials you use and many more, to make your DIY backyard project your own. Your DIY backyard project is a sterling place to personify your personality and taste for anyone to see, certainly yourself! Are you a person who loves the rustic charm of the great outdoors? Or maybe you are someone who adores the stylish, minimalistic, and classic style. Whatever your tastes might be, you can have them reflected in how you do up your backyard. With large planters and the addition of giant allium flowers, you can add that much-needed rustic touch. For a classic look, you can add a crisscross of trellis adorned with fairy lights. A backyard project that you do yourself is something that is unique and not run-of-the-mill. A professional landscapist, while adept at creating backyard projects, possibly has a one style that he is most proficient at and probably recreates that across the different projects that he undertakes. If you do your backyard project yourself, you can be sure that no one else has a space like you have. Your unique project will be yours alone and representative of your own personal style. It will be a conversation piece for everyone who visits. 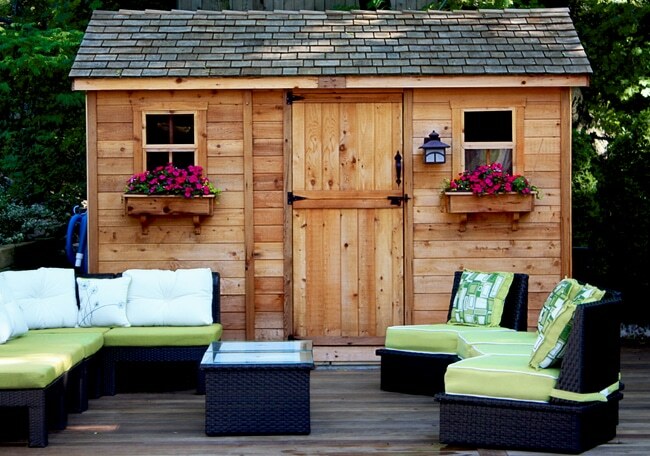 A do-it-yourself backyard project is a fantastic way to include every single member of the family, regardless of age. It is a significant and marvelous time for family bonding, with kids helping out as much as adults. On the weekends, or after school, have your children help out with the weeding, or the clearing up of the yard. Make sure to give the little ones light tasks to undertake and keep the risky ones for yourself. As a treat, why not promise to build them a tree-house which they can call their own. But that is another chapter entirely! They have their wiffle ball bats and balls and bicycles to keep them plenty occupied. If you plan to entertain guests in your backyard, imagine the awesome conversation starter it can be if you can tell them that all this work and creative energy expunged originated from you. A do-it-yourself backyard project is an interesting thing to talk about, and even slightly boast about if you want to go down that route! Do not be ostentatious though, everyone you invite over will probably have accomplished some outstanding task(s) in their life as well. Your guests will be interested to know how you went about getting your project done, about the materials that you used in creative and imaginative ways, any movie or TV themes you may have employed, and how your family contributed as well. Just like how some people say gardening is an astounding way to relax, so is working on a DIY project. Taking the time out to just focus on the task at hand, and forgetting about all your other stresses can be a wonderful way to spend some time. You can concentrate just on your DIY backyard project and watch it take shape after a few weekends of work. This will offer you a healthy retreat and get you ready for your job come Monday morning. Your DIY backyard project is something that you have done all by yourself, with a little help from your family of course. Right from the idea and the sourcing of the material to the actual execution – it is all you. This is something to hold your head high above. It is quite an accomplishment and something to be proud of, to do your own backyard project, which will increase the value of your home and last for many years. That is why, instead of choosing a team of professional landscape artists to take care of your landscaping and backyard needs, choose to do your backyard project yourself and wait for the compliments to pour in.